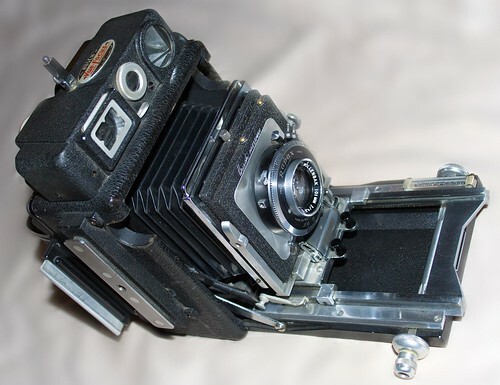 Busch of Chicago, USA, designated its 6×9 format press camera as the Pressman Model C. It was available with a separate side-mounted rangefinder, or a top mounted "Busch Vue-Focus" finder with parallax compensation. 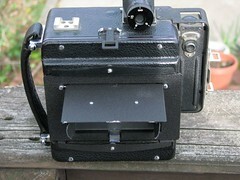 The Busch models did not offer the the "Graflok" style back of the later Graflex cameras, and so most 120 rollfilm holders will not fit this camera. 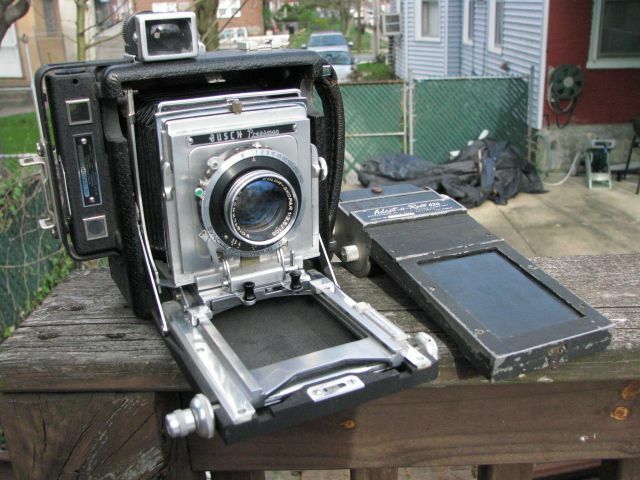 However the "Adapt-A-Roll 620", illustrated above, will work as its body is designed to be about the thickness of a standard sheet-film holder. 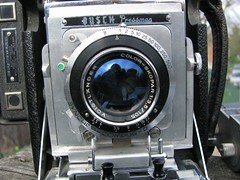 Busch Pressman 6x9 with 101mm Ektar lens, and home made solenoid. 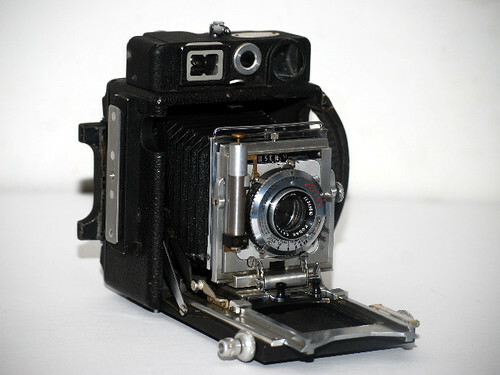 This page was last edited on 27 March 2019, at 03:45.